High-dynamic Range Image made on a bright day at Quirigua Archaeological Park in Guatemala. 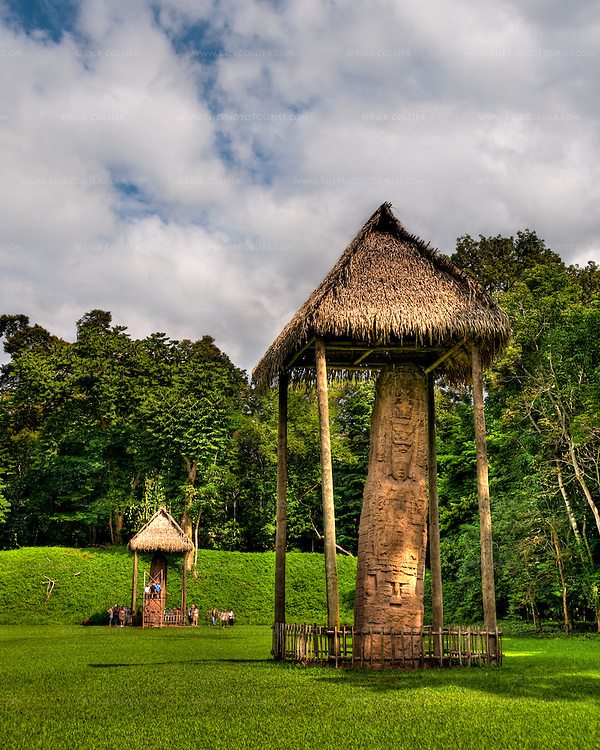 Quirigua is one of the smaller Mayan sites, but also one of the most notable due to the artistry of its stelae, which Mayan rulers during the Classic Period commissioned to commemorate important political and dynastic events. Nowadays, the temples and palaces lie in ruins around the pleasant green park that once was the great plaza of Quirigua and archaeologists are only now piecing them back together. Quirigua features a total of 22 carved stelae and zoomorphs (large boulders carved to represent animals and covered with figures and glyphs), which are among the finest examples of classic Mayan stone carvings.